Engineer Delivery is available where a member of staff will give you a full demonstration of the product and will answer any questions you may have, Please contact us for more information on this service. 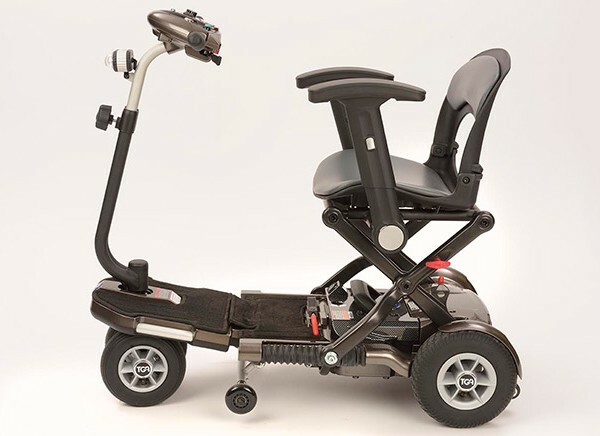 The Minimo Plus is the latest generation of compact, foldable mobility scooter design. Borrowing from the established heritage of the pioneering 4mph Minimo, it is extremely light weight and packed full of additional features. Its unique, single action folding mechanism can be operated with just one hand and requires no dismantling of parts or fiddly connections for compact storage in one easy motion. Fitted as standard with cutting-edge lithium battery technology it is so lightweight, it can be lifted with one finger. The battery can be effortlessly removed for off-board charging allowing you to store the Minimo in a car boot for ultimate convenience. 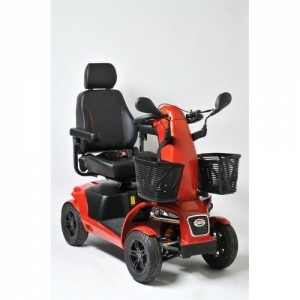 The new Minimo Plus incorporates all these features along with additional features including larger pneumatic tyres, a more powerful motor and controller, integrated super bright maintenance free LED light, higher ground clearance and enhanced batteries. 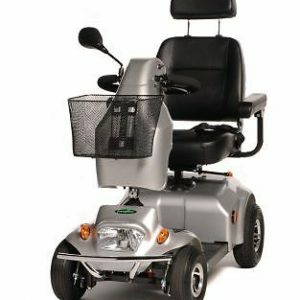 It also provides a rider weight capacity accomodating users weighing up to 115kg (250lbs). 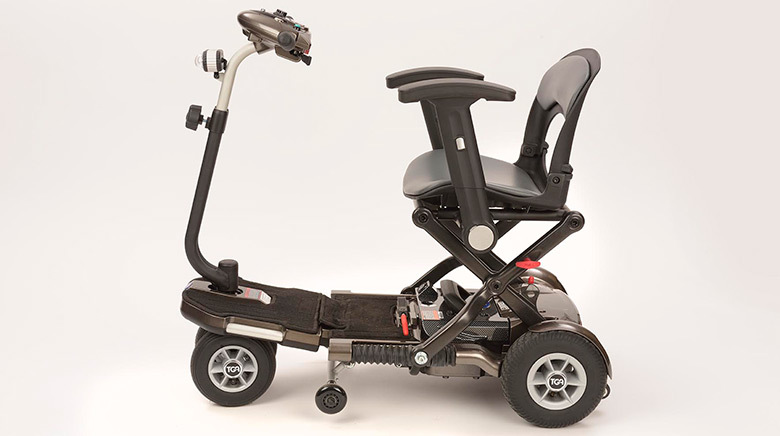 The Minimo Plus folding car boot scooter delivers the ultimate driving experience and pushes mobility to a new level through the latest in assistive design. The sturdy pneumatic tyres provide a smoother, more comfortable ride and extra range when compared to solid tyres and can include our puncture sealant for extra peace of mind. These tyres are combined with larger 228mm (9”) rear alloys so the Minimo Plus chassis provides a higher ground clearance of 70mm (2.8”). Fitted as standard with the reliable 70amp S-Drive controller and a 4 pole 270w motor the Minimo Plus has added performance whilst the Minimo’s market-leading manoeuvrability is retained. 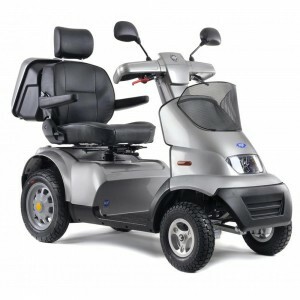 Its 820mm turning circle ensures driving around town and in shops is hassle-free and the Lithium-ion battery ensures a range of up to 15 miles (24km) on a single charge. 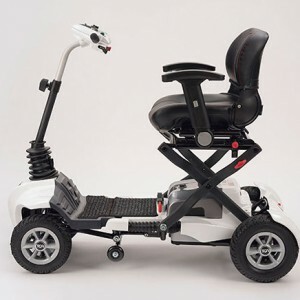 Active rear suspension adds to the stability of the Minimo Plus and anti-tip side castors provide safety when negotiating uneven surfaces or lowered kerbs. Despite all these extra features, the 25kg (55lbs) Minimo Plus remains easy-to-lift when folded for storage in the majority of car boots. The unlocking levers are quick to engage and once folded, Minimo can be effortlessly wheeled into position around the home. Enhanced driving experience through its numerous additional features.